A leading bath brand, Clearwater is proud to reveal its show piece range of ClearStone Baths. 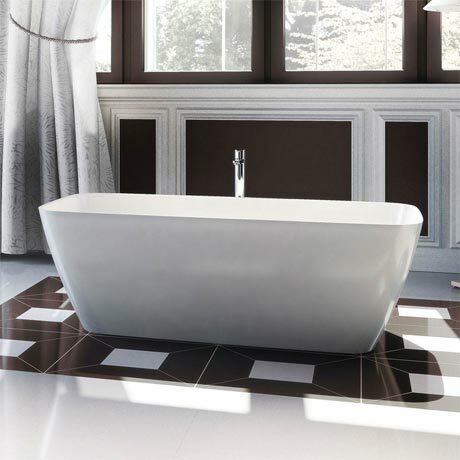 Clearwater has collaborated with a network of international designers to bring together a stunning and elegant range of freestanding baths using the finest materials and engineering. Clearstone is a fusion of milled sedimentary stone bonded by a high performance aluminium and titanium filler base. The result creates a hardwearing, high gloss surface in a brilliant white colour, with exceptional performance engineered to last a lifetime. Aluminium and titanium compound with a stone carbonate base creates an exceptionally strong material, with a high resistance to scratching or chemical damage. Moulded polyester polymer coating giving hard wearing high gloss finish. High strength to weight ratio with most baths weighing under 100kgs. Thinner, more delicate edge outlines - tapering profiles give an overall softer, more sophisticated appearance.